Conservationists from around the world are gathering at Lincoln Park Zoo this week for a conference focused on saving threatened species and reintroducing them into the wild. The second International Wildlife Reintroduction Conference, which starts Tuesday and runs through Friday, features a lineup of notable wildlife experts who will present new research aimed at improving the success rate of future reintroduction efforts. 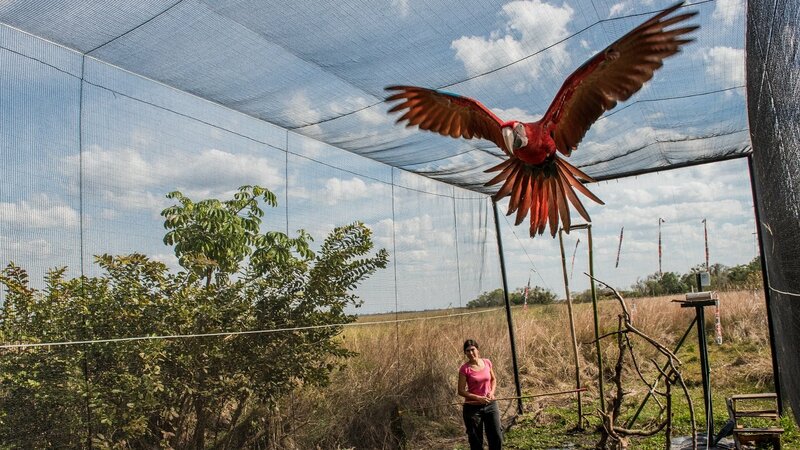 The event will also highlight several successful reintroductions that have taken place since Lincoln Park Zoo hosted the inaugural version of the conference in 2008, including Puerto Rican parrots, California condors, black-footed ferrets, green-winged macaws and golden lion tamarins. The conference, hosted in partnership with the International Union for the Conservation of Nature’s Reintroduction Specialist Group, comes at a time when many wildlife populations are experiencing dramatic declines in size or are already eradicated in what scientists have deemed the sixth mass extinction. Keynote speakers for the conference include Mark Price, who founded the Reintroduction Specialist Group and is responsible for reintroducing Arabian oryx to their native habitat after being extinct in the wild for 20 years; Carl Jones, who is credited with bringing back several species from the brink of extinction; and Richard Hobbs, who has contributed extensively to areas such as vegetation dynamics and management, ecosystem fragmentation and landscape ecology. One species that will be highlighted at the conference – the Puerto Rican parrot – is facing a new set of challenges after its population took a hit as a result of the destruction from Hurricane Maria. The species, which is native to the island and found nowhere else, saw its population drop to 13 in 1975 before making a comeback thanks to conservation efforts. With population analysis from Lincoln Park Zoo scientists, Puerto Rico’s Natural and Environmental Resources Department estimated recently that there are about 600 of the parrots living at two aviaries and three wild-release sites on the island. Although parrots living at the aviaries survived the hurricane, there were setbacks to the species’ population in the wild, said Lisa Faust, Lincoln Park Zoo’s vice president of conservation and science, in a statement. “Now, more than ever, it is important to help the population and use science to ensure they can survive in this changing island ecosystem,” Faust said in a statement.